A bed is of course a private space. 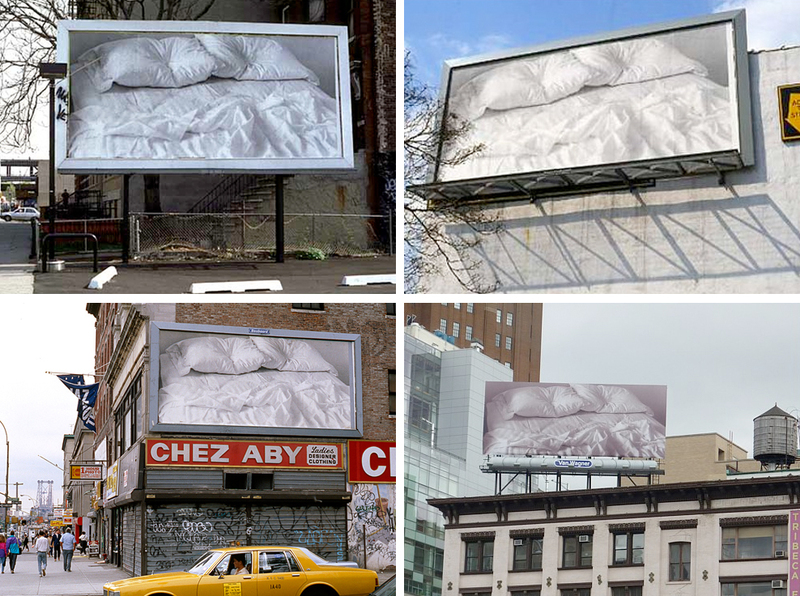 In remembering his partner and highlighting the AIDS pandemic, González-Torres made the private unexpectedly public, showing Untitled (Bed) on 24 billboards across New York City. Using advertising spaces to show art is a far remove from the white walls of a contemporary gallery space and challenges our understanding of the image and its reason for being there. 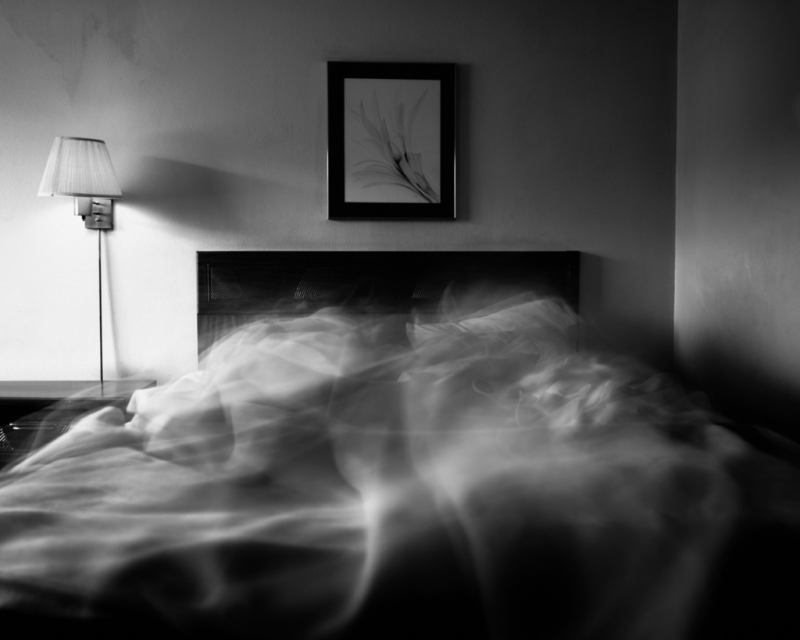 The beds in Martin Newth’s 8 Hours series are occupied though the all-night exposure means that the figures are a ghostly presence, visible only in the form of the contrast between the blurriness of the bedding and the detailed sharpness of the surroundings. Each picture, taken in American motels during the artist’s honeymoon in 2001, was made using an 8 hour exposure on a large-format camera. Like González-Torres’s Untitled (Bed), Newth’s series represents a relationship. Though the people aren’t explicitly visible, this series speaks of presence rather than absence offering hope – and, in a way, forming a portrait of a couple at the start of a marriage – where Gonzalez-Torres records the loss of bereavement and the sad end of a long-term relationship. This entry was posted in Photography and tagged 8 Hours, art, bed, Felix Gonzalez-Torres, Martin Newth, photography by Ann Jones. Bookmark the permalink.